Claypot? No! I protested wildly on account of my lame attempt at a low-carb diet, and thinking that Claypots Full Circle was all about… well, claypot rice. Of course, I hadn’t read the string of whatsapp messages in its entirety where my friend had said that this restaurant was NOT about claypot rice, so there we were for last Friday’s lunch. 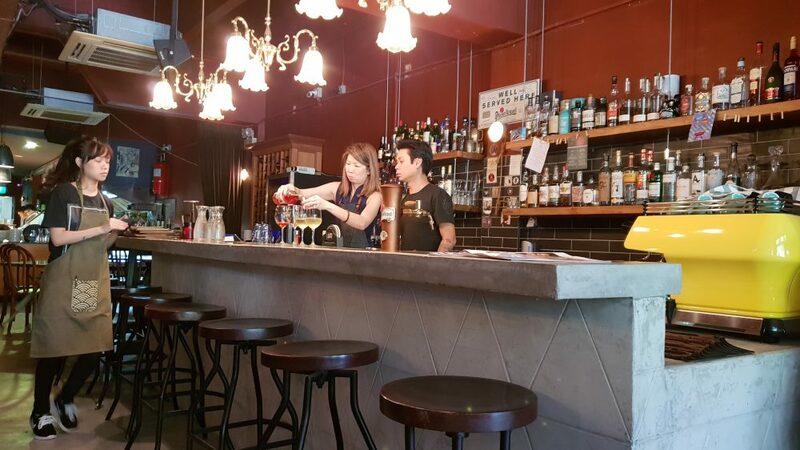 Having taken over what was previously occupied by Goldleaf Taiwan Porridge, Claypots Full Circle exudes a cool, but welcoming vibe – I can imagine drinks and dinner with groups of friends to be the thing to do here. Especially since they have an Aperitivo Hour (5-7pm) where a mezze is served with every order of a drink (some cocktails, housepours, Pilsner Urquell and house wines for $12 a glass). 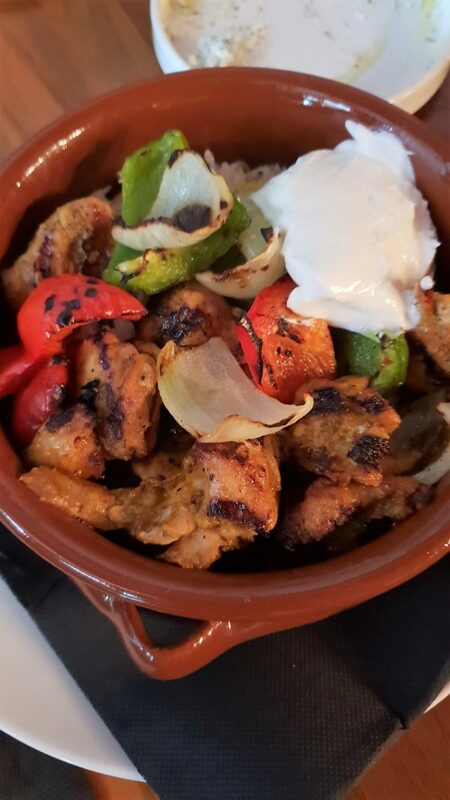 So, glasses in hands, we ordered a variety of starters, or mezze, seeing as how Claypots Full Circle is focused on “Med-Asian” – that’s a term I just coined to reflect their Mediterranean influenced seafood cuisine, with Asian twists. 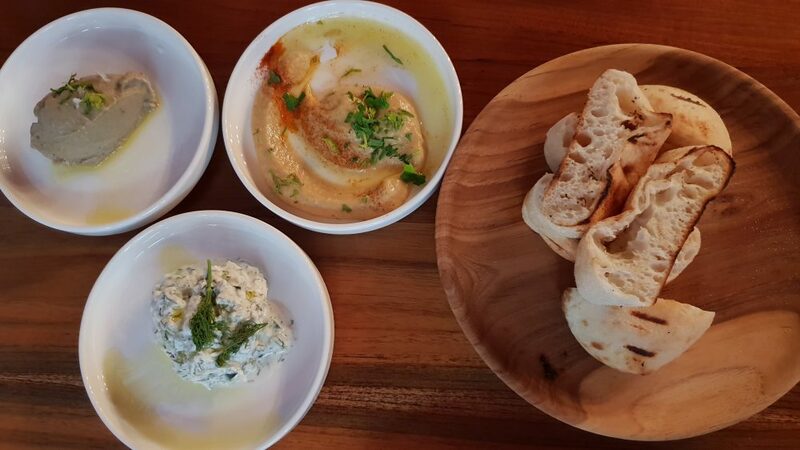 The Trio of Dips ($18) – Baba Ghanoush, Hummus and Tzatziki with Pide – is a good starter, and you might just end up asking for more bread with which to goop up the dips. But don’t, wait for your mains, because it seems as though several of them come with a serving of pide, so don’t be like us and order extra bread and be left with a mountain of it. All the other small plates we had were good as well. 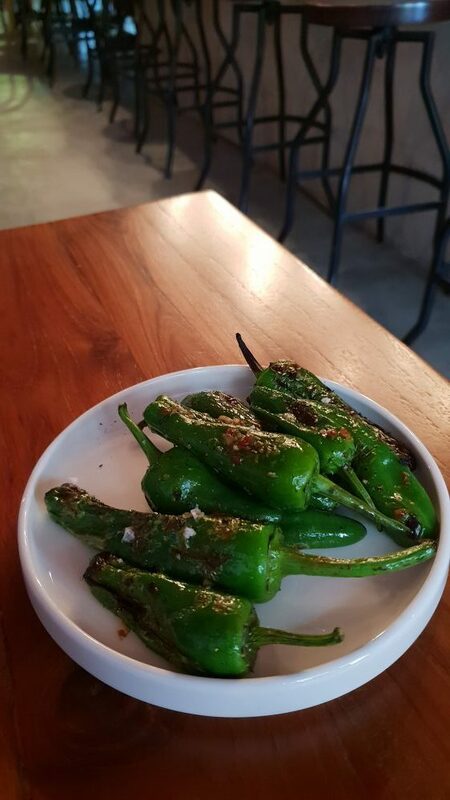 The Padron Peppers ($10), Atlantic Sardines With Kaffir Lime Leaves ($12) and the Stingray with Lemongrass and Lime ($18). Sardines, especially, have a way of transporting me to Greece. The memory of eating into simply grilled, and so delicious with a squeeze of lemon, fresh sardines by a taverna overlooking the Santorini caldera is what defines sardines for me. Unlike my poor hubby who is transported back to his NS days and army rations of canned sardines. 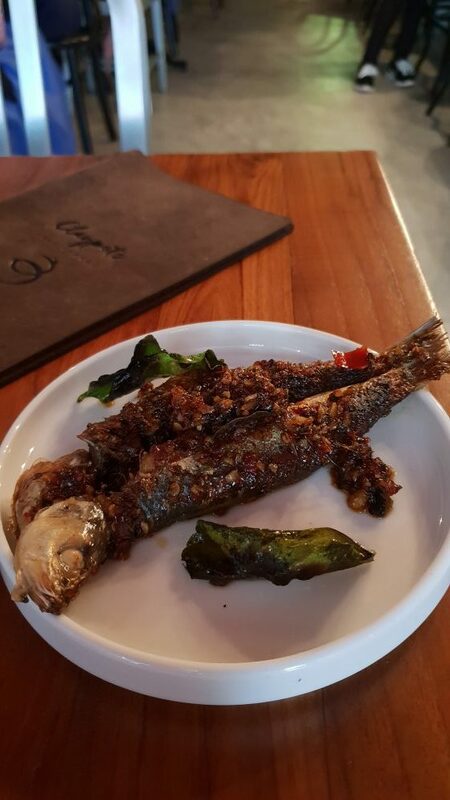 Of course, those are a different type of sardine! Anyway, at Claypots Full Circle, the Asian twist of sambal plays its part well into elevating this humble dish. The sambal is less spicy than tangy but it works well for me. Similarly, the sauce on the stingray is tasty but don’t expect the BBQ Stingray type of punch. For mains, we all stuck to one of the 2 dishes below – the Seafood Stew or the Jamaican Chicken. Both were served in claypots, looking rather hearty. Again, copious amounts of pide were served, so there went my low-carb diet. 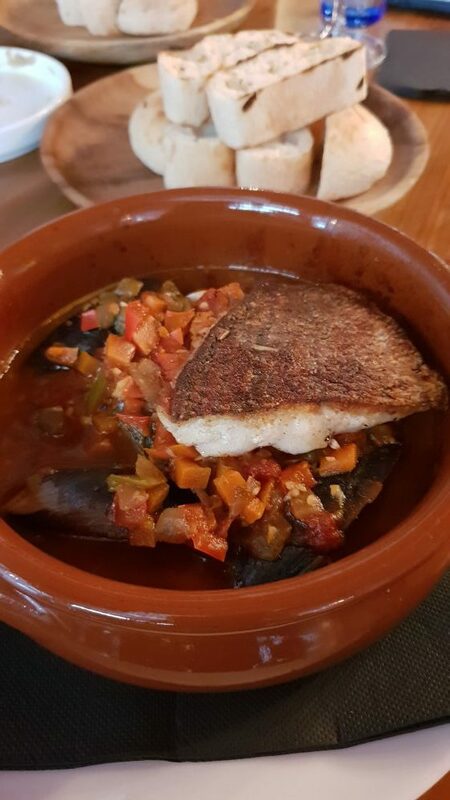 While there was plenty of tomato-based spiced sauce and a nice piece of seabass in my stew, I wouldn’t have minded more seafood, frankly. There was just a couple of mussels and clams in there. As for the chicken, it was shared between two of my friends, so I am guessing the portion was substantial for that dish. They seemed to enjoy it as well. We didn’t try desserts, but I would love to return one day to complete my experience at Claypots Full Circle. 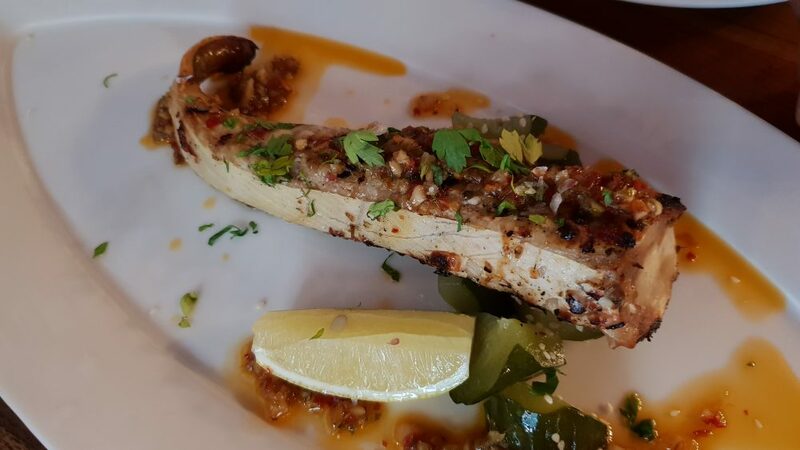 Overall, I would say the dishes are well executed and tasty, nothing overly exciting, but good for a quick lunch or a night out with friends.